A mental health bill that aims to improve mental healthcare in the United States has been passed by the House. The bill – H.R. 2646 – which was first introduced three years ago, was intended to usher in sweeping changes to improve the treatment of mental illness in the United States. While the bill was passed with an overwhelming majority of 422-2 last Wednesday, a number of the more contentious issues needed to be removed from the bill. One of the sticking points that was dropped from the bill were the changes to the Health Insurance Portability and Accountability Act (HIPAA). The bill introduces a number of important changes that will improve mental health care; however, the proposed changes to HIPAA were opposed by a number of Democrats and Republicans. In order for the bill to be passed, the HIPAA changes had to be dropped. In its original form, the bill would have changed HIPAA Rules to permit healthcare providers to share mental health data about patients with their caregivers. Instead, the Department of Health and Human Services is now required to clarify the law with regards to sharing mental health information to improve the treatment that is provided to patients. The HHS is also required to improve its efforts to educate healthcare professionals about the type of information that can be shared about patients suffering from mental illness, in particular those who are incapacitated by mental illness. The bill aims to improve oversight of mental health programs and introduces a number of changes that will improve the effectiveness of mental health programs. The bill also authorizes a number of grants to help with the treatment of mental health issues, including funding suicide prevention initiatives and enabling early intervention for children suffering from mental illness. 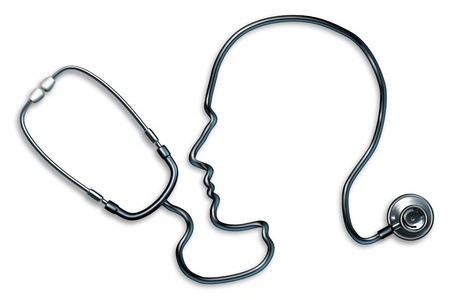 The National Alliance on Mental Illness, which provides support to families of individuals suffering from mental illness, wanted the changes made to HIPAA. The law currently prevents certain information from being shared with families and caregivers which, it is argued, would allow family members to act on behalf of loved ones who are unable to make rational decisions about their own care. The bill has been passed in the wake of a number of recent mass shootings which have highlighted the dire need for better care to be provided to individuals suffering from mental illness. While the bill is certainly a step in the right direction, many will feel that the bill does not go far enough. Even though the bill sailed through the House, there is some way to go before the proposed changes become law and it is looking unlikely that the bill will be passed by the Senate this year.